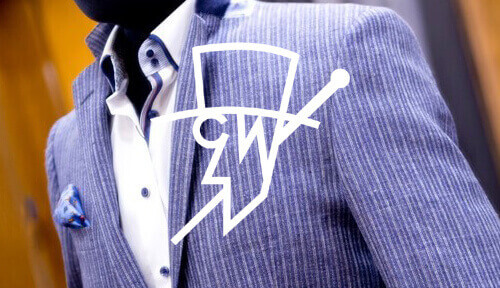 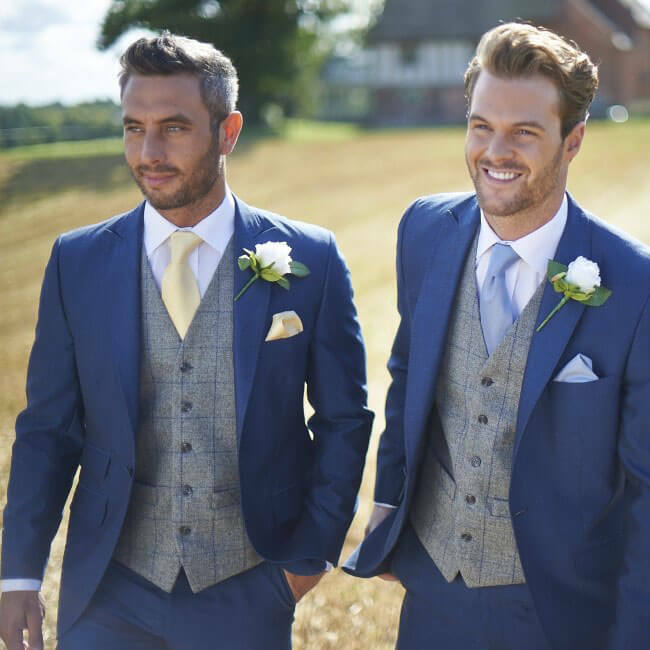 Wedding options include the classic gentlemen’s tailcoat, Prince Edward jacket and lounge suits, with accompanying stripe or herringbone trousers and a wide selection of waistcoats, all of which are also available in children’s sizes. 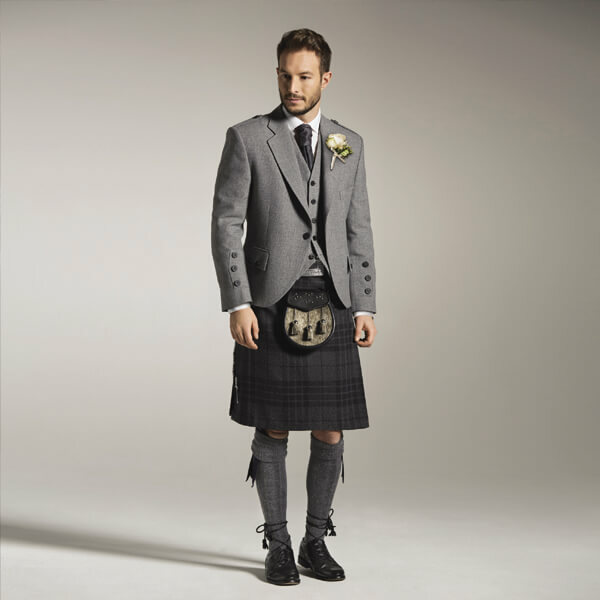 There is also our Highland Collection, the ultimate expression of traditional Scottish style, which includes Prince Charlie-style jackets, tweed jackets, a selection of kilt tartans and a range of accessories. 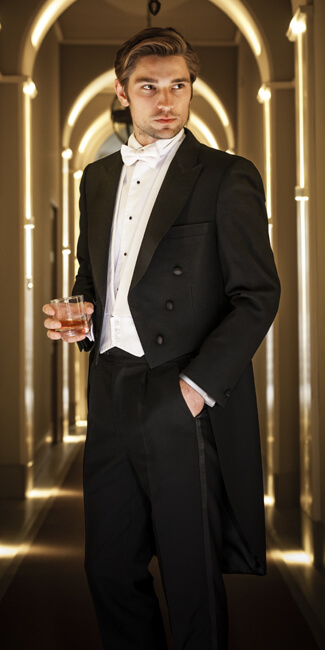 Our selection of accessories includes ruches, top hats and jewellery. 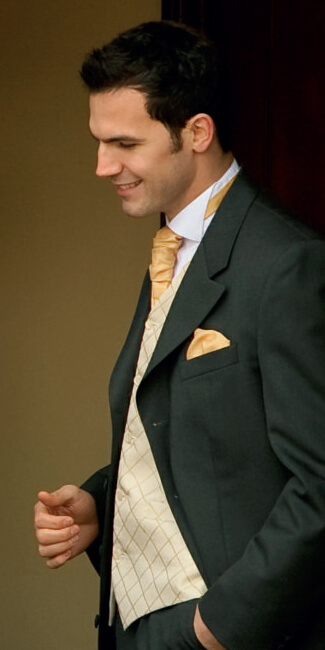 We also offer a Colour Match service, where neckwear and handkerchiefs can be matched to customer’s own fabric swatches – please enquire for details.